Hours after Pakistan Tehreek-e-Insaaf president Imran Khan said he wants to better relations with India, former Jammu and Kashmir Chief Minister Farooq Abdullah said his statement is kind-hearted. The opposition leader further asked the Imran Khan to follow what is saying. In late February, Farooq Abdullah had asked India and Pakistan to find ways to end the bloodshed in the Jammu and Kashmir. 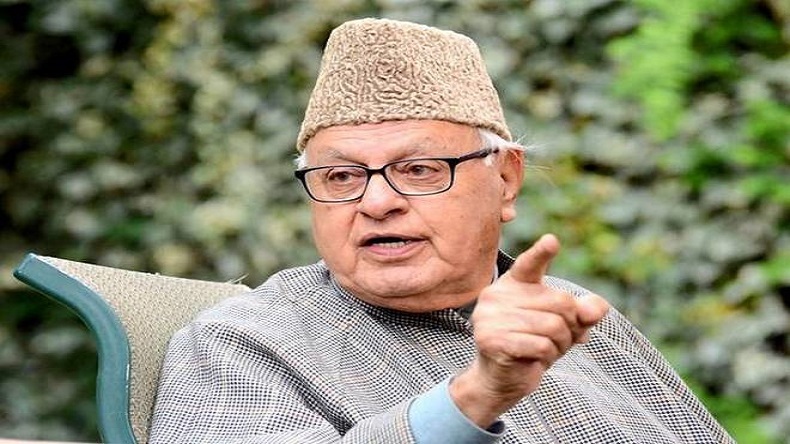 Former Jammu and Kashmir Chief Minister Farooq Abdullah on Thursday expressed his views on Pakistan election results, particularly Pakistan Tehreek-e-Insaaf president Imran Khan’s statement. The Jammu and Kashmir National Conference Farooq Abdullah congratulated the cricketer turned politician Imran Khan for his party’s lead in official trends as Pakistan Election Commission has made it clear that final results will be announced tomorrow and there is no delayed as Returning officers are still on the field. Reacting to Imran Khan’s remarks, the National Conference (NC) leader said his statement to have better relations with India is kind-hearted. The opposition leader further asked the Imran Khan to implement what he is saying. In late February, Farooq Abdullah said that India and Pakistan should find ways to end the bloodshed in the Jammu and Kashmir. Earlier in the day, Imran Khan, addressing the media for the first time since his party taken lead in election trends, vowed to have better relations with India. The PTI leader further said he wants to solve all long-standing issues through dialogue. Further speaking on his plans after coming to power, he said he will try to eradicate poverty from Pakistan. As per unofficial election trends, Imran Khan’s party Tehreek-e-Insaaf is leading in around 120 seats while Shahbaz Sharif’s Pakistan Muslim League (N) is trailing with 63 seats. Bilawal Bhutto’s PPP is leading in 38 seats. The election results in Pakistan is significant for India as relations between neighbouring countries are not well since last 2 years. With military backing, Imran Khan is set to lead Pakistan. Earlier in the day, Congress leader Shashi Tharoor said it was completely predictable that Imran Khan’s party will emerge as a leader in election results as he is the most pliable potential for Pakistan military.